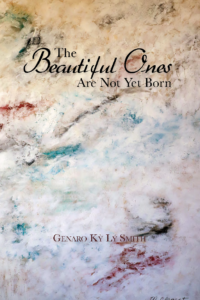 Louisiana Tech School of Literature and Language instructor and writer Genaro Ky Ly Smith, whose work has been recognized with several grants and awards, has a new book that resurrects the eternal themes of capturing that which seems lost, yearning for the unobtainable, keeping alive the untold stories of the past, and hope. A book of short stories and a novella, The Beautiful Ones Are Not Yet Born was released this fall. Smith was born in Nha Trang, Vietnam in 1968. He lives in Ruston with his wife Robyn and their two daughters and has taught literature, composition, and creative writing at Tech since 1999. He is the author of both The Land Baron’s Sun: The Story of Lý Loc and His Seven Wives — a work inspired by his grandfather, an aristocrat and officer for the South Vietnamese Army who actually had seven wives — and The Land South of the Clouds. His other works of poetry and fiction have been published in numerous reviews, anthologies, journals, magazines, and periodicals. He earned a BA in English from California State University, Northridge in 1993. He earned an MA and MFA in creative writing from McNeese State University in Lake Charles in 1999.